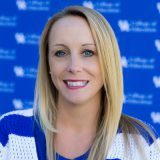 Welcome to the University of Kentucky’s Department of Kinesiology and Health Promotion. We appreciate your interest in our graduate programs; please take time to explore our web site. You will gain information about faculty and staff, course descriptions and syllabi, graduate program options, graduate program application materials, graduate assistantships and information about our various laboratories. We have a thriving graduate program with 12 graduate faculty members within the Department and well over 100 graduate students presently enrolled. Our program allows students to explore specific career options within a small classroom environment which fosters personal and individual attention. The Department places the highest value on ethics, professionalism and interdisciplinary work. The University seeks to gain top 20 status, and our graduate programs are dynamic and competitive with other programs throughout the nation. Our goal is to enable all graduate students to become successful in their academic and professional career. Three KHP graduate students were awarded funding through the Arvle and Ellen Turner Thacker Research Fund, which was established to provide mini-grants in support of the research efforts of doctoral graduate students in the College of Education. Travis Byrd, Exercise Physiology doctoral candidate who is advised by Dr. Haley Bergstrom, received funding for his dissertation project titled An Examination of the Effects of Bilateral and Unilateral Very Short-Term DCER training on Neuromuscular Responses within the Lower Limb Bilateral Deficit. Travis is a teaching/lab assistant in KHP. Michael Dalessio, doctoral candidate in Health Promotion, was awarded funding for his project on Attitudes Toward, Perceived Effectiveness of, and Observed Compliance with Designated Tobacco Use Areas on a College Campus. His advisor is Dr. Mindy Ickes. Michael is an Instructor of Health and Human Performance at Berea College. Anssi Saari, Exercise Physiology doctoral candidate, received the award for his research on Heart Rate Dynamics during and after Simulated Fireground Tasks: Effects of Physical Fitness and Training. He is led by Dr. Mark Abel. Anssi is a graduate assistant for campus wellness. Congratulations to these three!